Good day to you. I’m Sean Cleaver. Let me tell you a little about Sean Cleaver. Sean Cleaver is a London based prize winning writer/journalist with occasional lapses into Stand-Up comedy and video games. 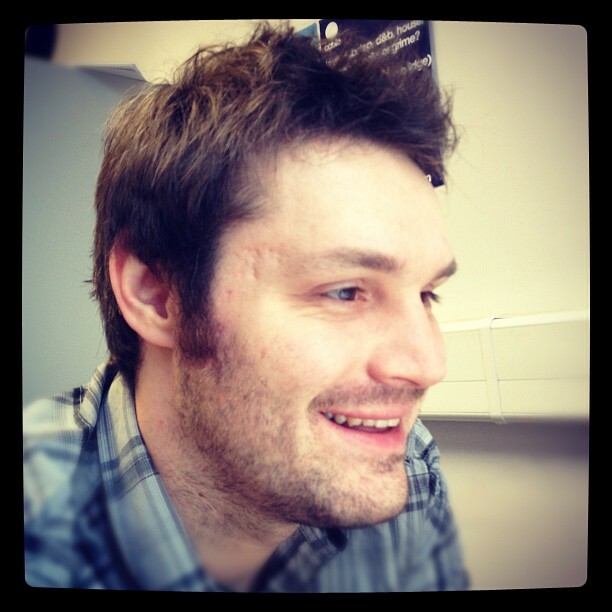 Sean’s freelance work has taken him from video games journalism for websites over four years, including being a voiceover artist and video interviewer. He has also been involved in sports journalism from being a on-screen fan and pundit for Sports Tonight Live and writing on American Sports. He currently writes video game reviews and opinion for TheGameJar.com and American Sports news and opinion for GiveMeSport.com. Sean also has also been creating fictional work. A recent short story won a prize and inclusion in an anthology for a London university and a comedy pilot script was favourably received by BBC Writers Room. He currently is writing scripts for further applications and pitches for fiction and non-fiction books. He also competed in the 2013 Chortle Student Comedy Award. He has a degree in Creative Writing and English Literature and is available for freelance work. If you just fancy a bit of a chat, you’re more than welcome to tweet me on my handle @cleaverslips. Gamers, if you fancy a bit of online gaming, you’ll find me on my Xbox 360 Gamertag and PSN ID of ‘cleaverslips’. Hey Sean, just reading up about you on your blog. You would be a great addition to our MOTST gaming group if you were at all interesting. I find its best pulling resources together than trying to go one alone.